The Multipurpose shovel and pick axe set is a versatile military style tool. 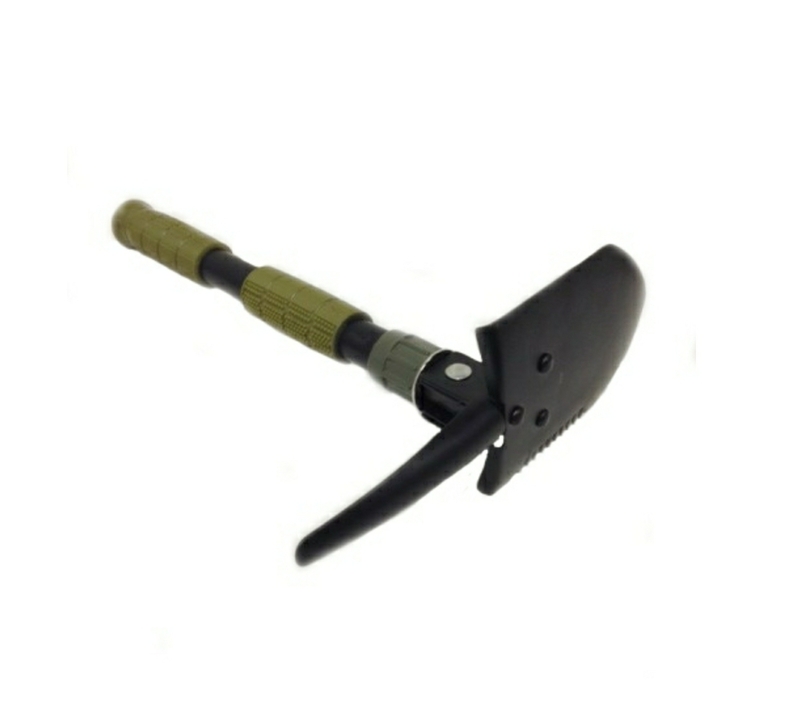 The head of the shovel adjusts to be utilized as a shovel or pick axe. One side of the shovel has saw tooth serrations. This tool is perfect for your next camping, hiking, or bug out bag.